The World's most recognised brand and the leading Russian airline, Aeroflot is celebrating the arrival of two new brand new Sukhoi Superjet 100 (SSJ100) aircraft. 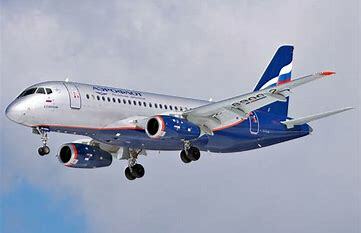 With the addition of these latest examples, Aeroflot now has 47 Sukhoi Superjet 100s that are deployed on its domestic short-haul passenger routes. 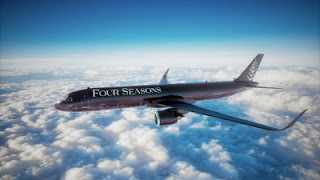 The airline has named the 46th SSJ100 registration RA-89114 after Valery Pavlovich Chkalov, Soviet test pilot and hero of the Soviet Union who could fly more than 30 different aircraft. The 47th SSJ100, registration RA-89109 is adorned with the name of the famous Russian painter, war artist Vasily Vasilyevich Vereshchagin. The Russian-built Sukhoi Superjet 100 aircraft are configured with 12 seats in business class and 75 seats in economy class. These new SSJ100s will start operating on Aeroflot routes in the coming weeks. The airline will expand its fleet of SSJ 100 aircraft, with a further three new SSJ100 planes, to form a fleet of 50.